"Naruto-Kun its time for your training with Orochimaru-sama. Please don&apos;t keep him waiting." said Kabuto as he entered the room. "Today you will meet him outside for training, so get up"
"Ugh okay.." I said tiredly sitting up from my bed. Its been two years since I left that place. Im in the southern hideout for this month. We move every month to make sure no one finds me or Orochimaru. I got out my bed and sighed seeing Kabuto leave the room. They&apos;re not bad people.. I mean atleast not to me. They&apos;ve been training me and I give all my thanks to them. Im strong now. Stronger than my old runt self. I changed into the new clothes they gave me which was a black shirt where the sleeves stopped in between my neck and shoulder, under that I wore a long sleeve mesh shirt, some black pants and a black scarf. I walked out of my room with my hands in my poket staring at the ceiling. I wonder if anyone misses me. We were jumping tree to tree following Pakkun who was leading us toward the direction the hokage said Iruka&apos;s team felt the Kyuubi&apos;s chakra. "Remember the plan everyone. We came here to bring Naruto back. So no matter what, do not come in contact with Orochimaru or Kabuto, that will just make it more troublesome" I nodded along with Sakura and Shiro. We&apos;re coming for you Naruto. We&apos;ll bring you back for sure. Kakashi dropped to the floor and hid behind a tree. We all followed our sensei down and scattered to hide behind nearby tree&apos;s.
"Kakashi sensei, what is it?" asked Shiro confused of why they had stopped. Sakura stood behind the tree and was staring at the ground. "I feel him. He&apos;s so close.. I feel his chakra!" she whispered/yelled looking straight at me. "We can bring him back" she said with a smile holding back tears. "Yeah.." I said and gave a small smile back. "You know Sasuke... 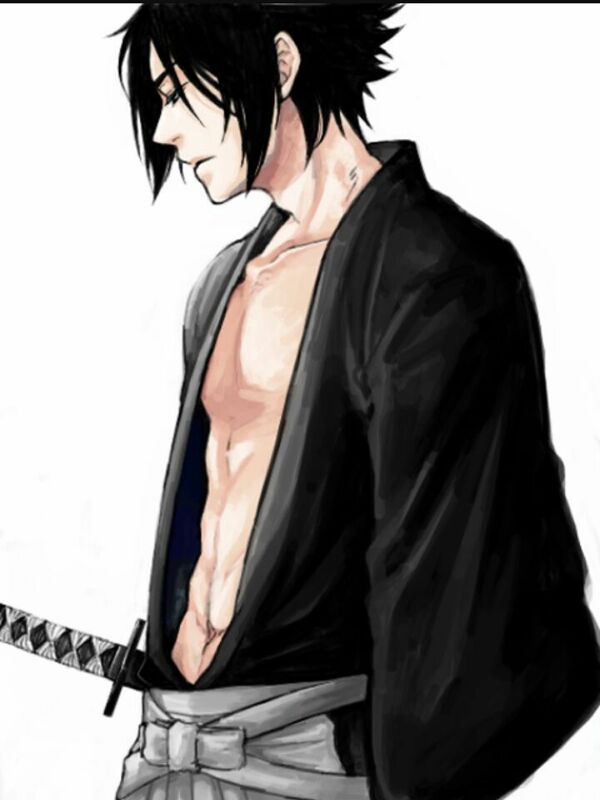 I know you have feelings for him" she said looking away from Sasuke. My face went in awe and I could feel my face geeting pink. "It was pretty obvious. 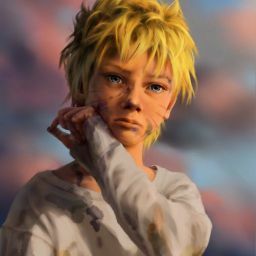 I just didn&apos;t want to believe it.. Thats why I was always so rude to Naruto, and I just wanted to apoligise to you before we brought him back." she said laughing nervously. "I&apos;m really sorry! I was part of the reason he left! I made both you and him unhappy and I apologise. We will bring him back and we&apos;ll all be happy. We&apos;ll eat ramen, we&apos;ll yell at Kakashi for being late, we&apos;ll laugh together, and we&apos;ll go on missions together again. I promise!" she said smiling brightly. "And also, he&apos;s liked you too. He was just to far away from reality to see it. 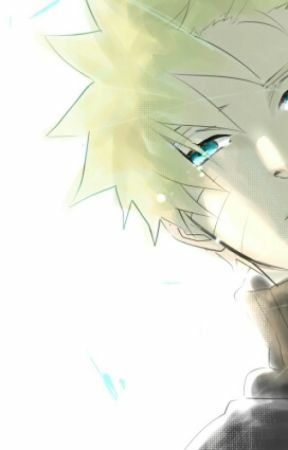 So lets bring him back, Sasuke." "Okay now that we&apos;re done telling Sasuke our little secret lets go save Naruto." "Okay." I said with a smile on my face. I heard Sakura and Shiro giggling behind me and letting out an &apos;mhm&apos;. And with that we ran towards the direction of Naruto&apos;s Chakra. Orochimaru has been teaching me a jutsu that would work perfectly with my rasengan, called the Rasenhebi. Which molded poisonous snakes to create thier own Rasengans to lash toward the enemy&apos; while I run toward them with my own Rasnegan. I&apos;ve also learned many summoning jutsu. I&apos;ve summoned the Elder Snake named Manda and much of his followers, and also hawks for my transportation. It was already mid day when Orochimaru told me training would be finished early for today. "You go on ahead. I need to train for a bit longer" I exhailed due to my tired body. "Thats fine.. but we have visitors soon so rest for a bit, they&apos;ll be your next duty to get rid of." explained Orochimaru as he walked back underground. I have been feeling a few chakra&apos;s coming closer, but it was no problem, its been happening for the past two years. The ones who found me were just killed. These chakras heading my way felt oddly familiar, but I decided to shake it off thinking it was probably leaf shinobi, whos been searching but never found me. I went back to training throwing kunai to targets and maybe small bugs crawling around. Then I sat down with my legs crossed like we did in the acadamy and shut my eyes. Meditation was also another part of my training. It helped me focus and concentrate on things I want to accomplish. My eyes were closed and my breaths were shallow and slow. I heard something or someone move in the bushes around me. Now I was on full alert, but I did not move. "Who&apos;s there?" I said demanding an answer. "Naruto..." was all I heard before I noticed who&apos;s voice that was. Guys! Theres only 2-3 chapters left!